Jasmine Dotiwala is a Producer / Director / Broadcaster / Columnist with acclaim in the media for breaking new, young, British talent and making fresh, ground breaking edgy TV programming with A List showbiz celebrities. A professional, multi faceted TV producer, director, broadcaster and columnist who has delivered solid results, and innovative diverse media that is strategically devised to entertain, promote and grow brand integrity. A highly experienced, driven, dynamic leader, with the ability to lead a highly effective team and create internationally top rating TV content to tight deadlines and within strict budgets. Outstanding industry contacts and access to acts, media platforms and PR. Excellent presentation & communication skills. After a BA HONS DEGREE at SURREY/ ROEHAMPTON UNIVERSITY, Jasmine started at Channel 4 as a runner then floor assistant on THE BIG BREAKFAST, then as a presenter on the notorious, one of its kind, nineties youth cult show – THE WORD, before becoming an MTV NEWS presenter for MTV EUROPE. Jasmine continued to be the woman in front of the camera as well as behind, and became Senior Producer-Director for many of MTV International’s flagship TV shows from MAKING THE VIDEO, MTV CRIBS; DIARY OF ‘’ and MTV NEWS SPECIALS. In 2000 Jasmine became the Senior Series Producer/ Director of MTV NEWS; SPECIALS where she hosted, produced and directed MTV’s flagship shows MTV NEWS (Madonna/ Spice Girls/ Radiohead ,U2 etc), MTV CRIBS (inc Dolce & Gabanna / Richard Branson/ Craig David) , DIARY OF…..(Jay Z, Mariah, Eminem, 50 Cent), & MAKING THE VIDEO ( inc Usher, Busta Rhymes, Sean Paul, P Diddy, Estelle). 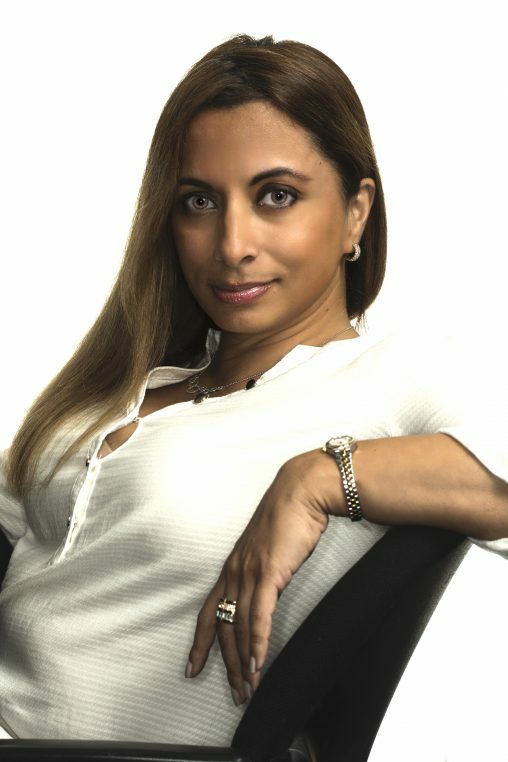 In 2006 as MTV’s urban music specialist and HEAD OF MTV BASE, Jasmine concentrated on giving everyone from Destiny’s Child , Jay Z , 50 Cent and Eminem the Jasmine treatment for her interview features and when she is not sharing Mariah Carey’s jet for one of her video diaries she busies herself producing more specialized shows on artists. Her ‘’Essential Mariah Carey’’ and ‘’Essential Eminem ’’ shows rated number one all over Europe and her ‘’Essential Dr Dre’’ premiered at number one on MTV’s hip hop channel -MTV Base! In 2006 Jasmines A Night with Justin Timberlake Live, Jay Z Tour Diary and Shady Family Invade Europe and Ushers Making of the Video ‘’Yeah’’ provided MTV UK with some of their highest ratings in 4 years! Whilst her ’ Making the Video; Mariah Carey (October 2005), was the highest rating making of the video on any MTV channels worldwide in 2005! In 2007 Jasmines ‘’Diary of Jay Z-The Global Express Tour’’ aired on 40 MTV channels worldwide. After 10 years at MTV INTERNATIONAL Jasmine was asked to head up MTV BASE production where she brought in new presenters, new urban comedy programming, specialist music slots as well as an aggressive, unifying, positive energy championing young, UK urban musicians and the culture. As HEAD OF MTV BASE production over seeing the UK’s biggest urban music TV channel and developing new shows, faces and concepts for the biggest music brand in the world, Jasmine was known for bringing in ground breaking changes. Under her leadership MTV BASE brought in new, fresh presenters to the channel, developed 6 new programming strands in the first year, developed strong media partnerships within the UK and raised ratings, respect and awareness of MTV BASE within the public sector. In 2009 Jasmine left MTV NETWORKS INTERNATIONAL after 13 years to return to Channel 4 Music Specials where her first project was the T4-A MARIAH SPECIAL and other similar music, youth, entertainment TV projects for Channel 4 including THE WORD 20 Year Anniversary Special. In 2010 Jasmine was asked by ITV to produce and direct their new music strand ONE NIGHT STAND which included Ne Yo, Scissor Sisters and Pixie Lott. In 2011 Jasmine moved across to the BBC where she started at the BBC Children’s Development team and then with the BBC MUSIC department working on developing new music content. Jasmine has also been a print columnist for many years writing for a variety of publications including THE VOICE, Vibe magazine, Touch magazine, the Daily Mail and Caribbean fashion glossy OCEAN STYLE. Jasmine also blogged on Huffington Post UK. Jasmine wrote a long standing ‘’Girl Talk’’ column for urban music magazines ‘Touch’ and ‘Tense’ which received phenomenal public focus, as well as one off columns in international urban magazine Vibe. Jasmine was also a regular contributor to another ethnic women’s page for ‘’Eastern Eye ‘’ newspaper as well as hosting a drive time radio slot aptly titled ‘ Jasmines Juice’ once a week on urban music station ‘Choice FM-96.9FM’. Jasmine joined the RTS (Royal Television Society) Futures committee in 2012. Read Jasmines weekly column in THE VOICE Newspaper and hear her regularly on the radio where she contributes and banters about life, media, music and youth issues . (BBC RADIO1Xtra/ BBC Radio London/ CHOICEFM). Jasmine was also a resident panelist on SKY TV 218 on weekly all ladies talk show ”Ladies Talk”. Currently Jasmine is HEAD OF YOUTH MEDIA at Media Trust, and also EXECUTIVE NEWS EDITOR AND MANAGER of the 360 brand of TV shows (LONDON360, UK360, ARTS360), at the Media Trust at the BBC White City site. (Corporate Partners / Support Media partners – Google, Channel 4, OATH, VIACOM,ITN, Royal Albert Hall, BBC,SONY Music, ITV, Channel 5, SKY, MTV, and more). The first youth made TV show of its kind that regularly, unashamedly champions the stories big and small , focusing of celebs and real people, unearthing and informing on hidden and secret London in the UK’s capital city. Jasmine is also a regular contributor to Channel 4 News with Arts & Culture segments. Jasmine is a regular contributor to SKY News reviewing #SkyPapers. Jasmine is a blogger on The Metro UK online. Jasmine contributes to The Source – the globe’s longest running, most-respected hip hop culture brand. She is also an active committee member at RTS (Royal Television Society) Futures, RTS Voting Academy, The BRITs Diversity Committee, Brits Voting Academy, IVY CLUB committee, MOBO INDUSTRY PANEL,MOBO Committee, THE CULTURAL TV DIVERSITY NETWORK, BET Voting Academy, MTV Europe Diversity Council and is involved in a number of charities including the African Caribbean Leukaemia Trust.